A great unit - for the money. The reverbs are fairly good - not brilliant, but a lot of variation so you can get most standard reverb treatments. In the 'B' bank the delay is good (but then it's difficult to mess up with implementing a delay?) Chorus a bit feeble, flanger is very good, the others in this bank are effect combinations (e.g. chorus & reverb) either in parallel or series, which are problematic because you don't have a lot of control over the individual effects. The best stuff is in the 'C' bank - pitch shift only fair quality but good for wacky FX, phaser is good, tremolo, some resonant filter effects which track the envelope of the input signal and can be great although you'll need to do some experimentation. There is a good ring modulator, some ludicrous 'low-fi' effects like record noise, a 'vocal distortion' which is also pretty rough and a vocoder which seems to sound pretty good although there are only a few variations in what you can do with the vocoder sounds. There is also a rotary speaker which works well with organ sounds and a 'karaoke' effect which tries to remove the center frequencies in the stereo image to take the vocals out of a mix - never used it. There's also a footswitch input for live use although the unit isn't ideal for live users as there is no MIDI, everything is front panel. But at this price, little to complain about. The BANK C (LoFi, Phaser, Vocal Distort, Vocoder etc.) absolutely rocks. All the fx in bank C alone make it worth it's money. Only disadvantage: quite noisy. 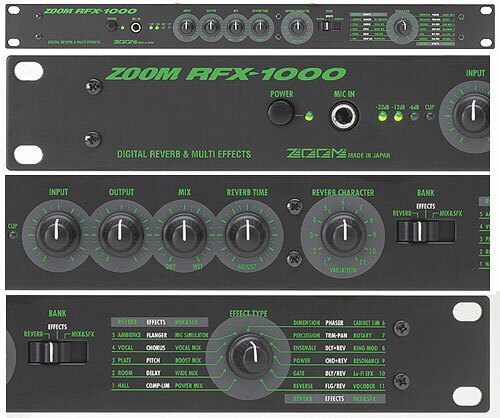 as said before - it's cheap, so I can't really say it's not worth the money.. the stuff I don't like with it is that it's non-programable, still there are some nice presets but.. and it's noisy, I wouldn't use it professionally, but who would use a $100 box pro? hehe.. the vocoder is cool though, if it was programable it would be worth the money just for the vocoder! 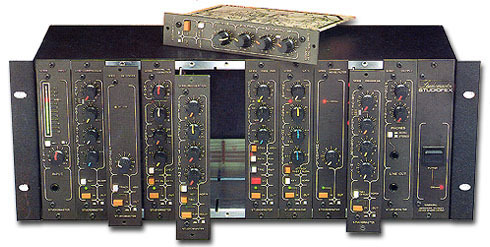 A great rackmount FX. The reverbs are great, so are all the other effects. The best effect though has got to be the Vocoder. If you want cheap effects then I would recomend this to anyone.